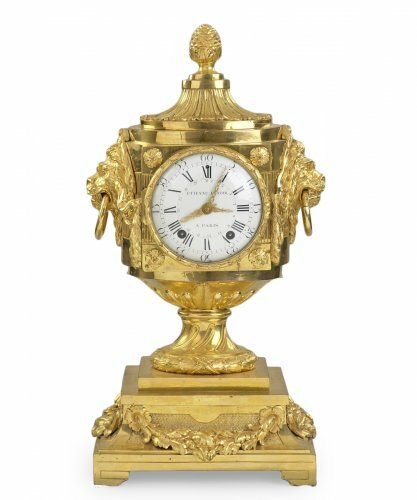 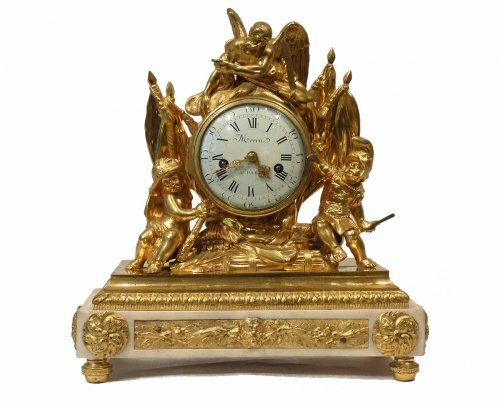 In the various styles and epochs, clocks highlight the numerous developments in their increasingly sophisticated manufacture. 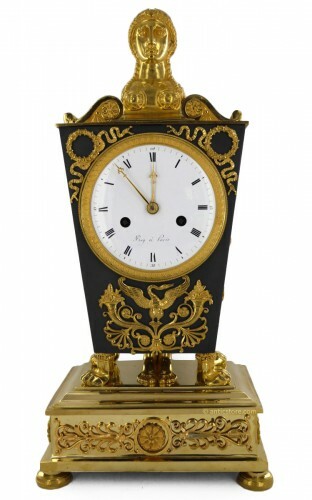 Clocks combine extremely rich ornamentation with mechanisms that attest to an incredible technical virtuosity. 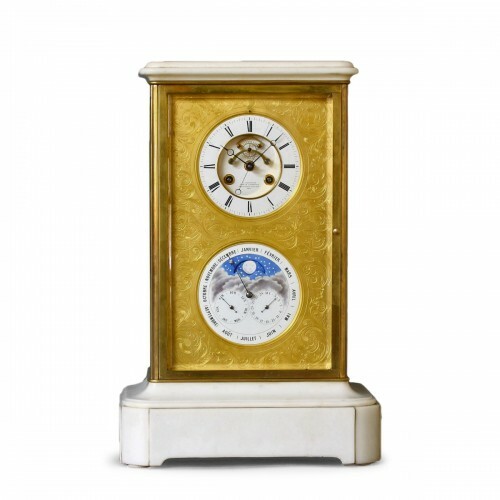 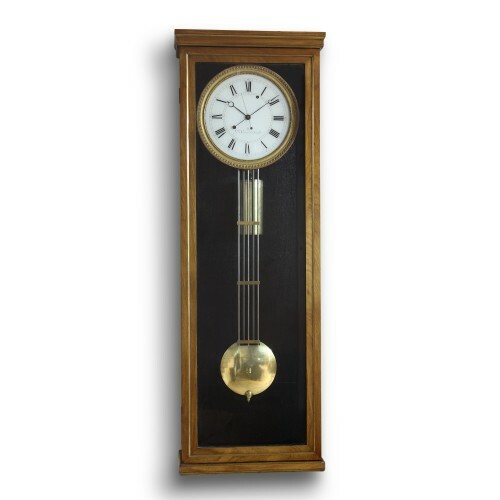 Possessing asymmetric or rectilinear lines, clocks are veritable masterpieces that are timeless. 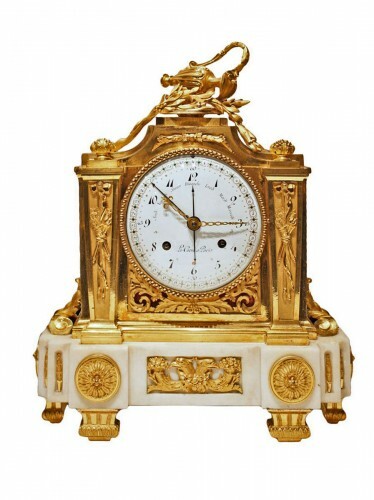 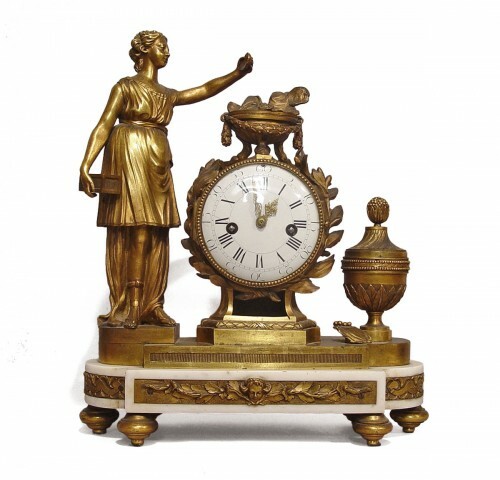 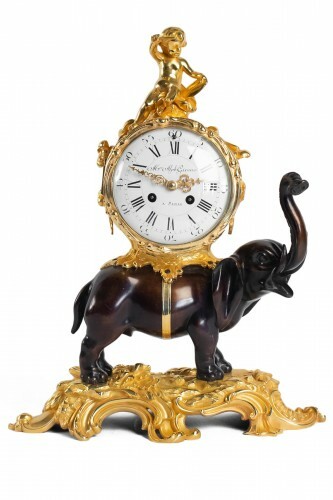 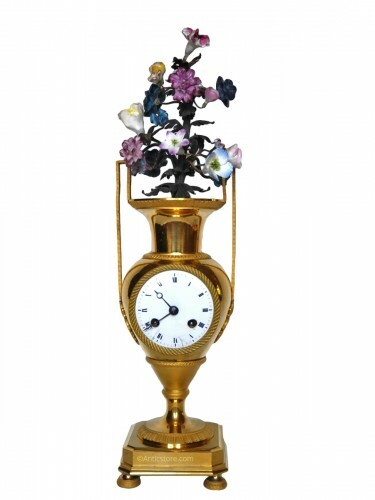 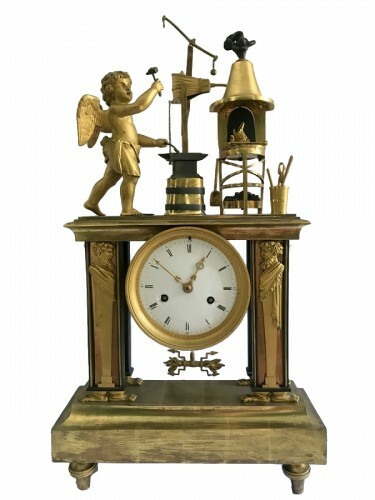 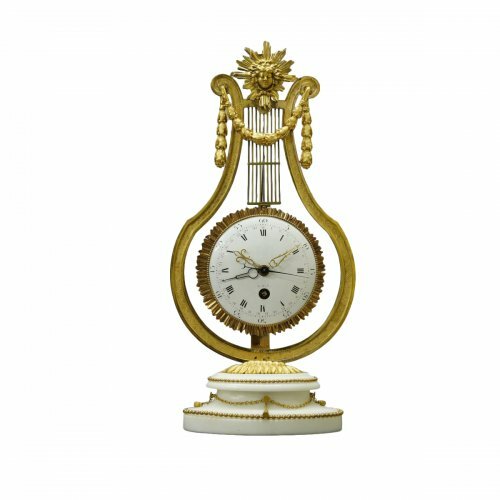 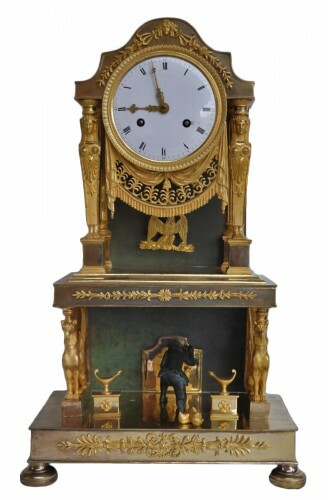 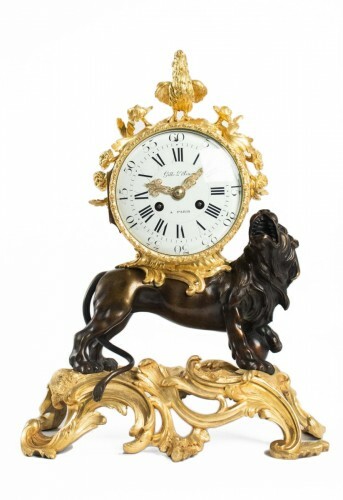 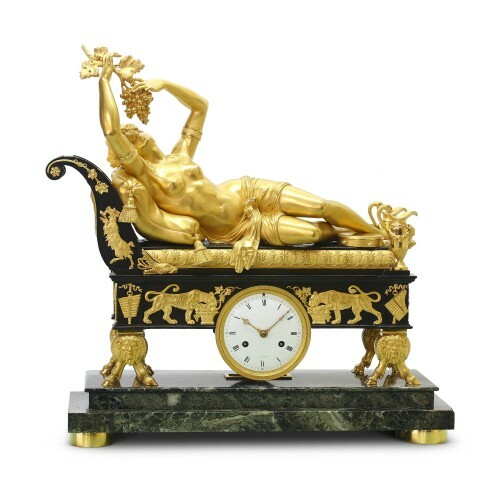 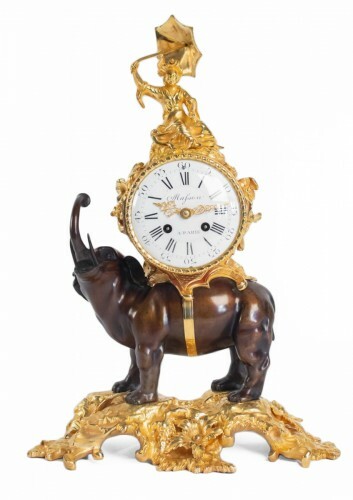 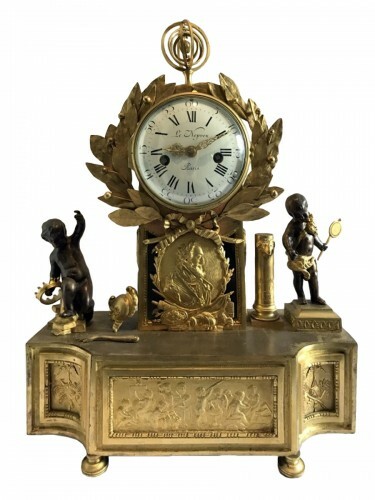 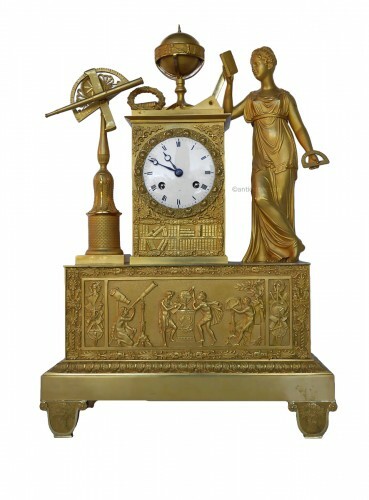 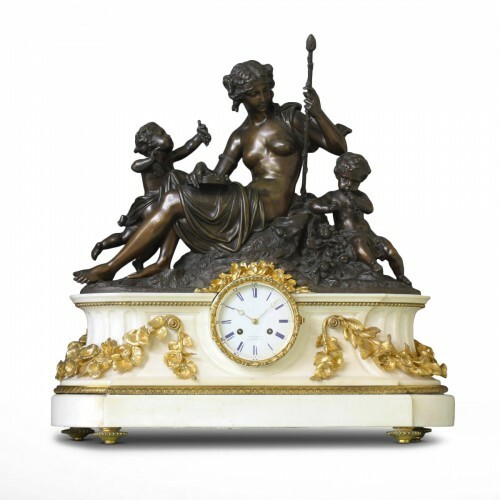 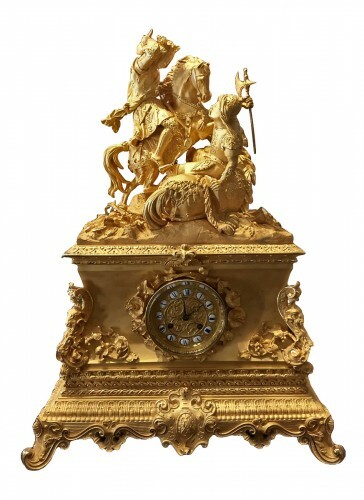 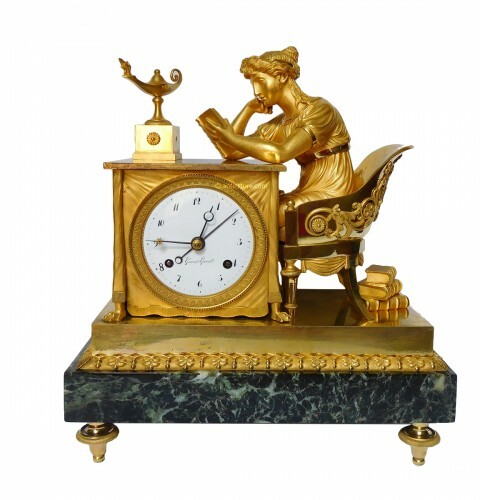 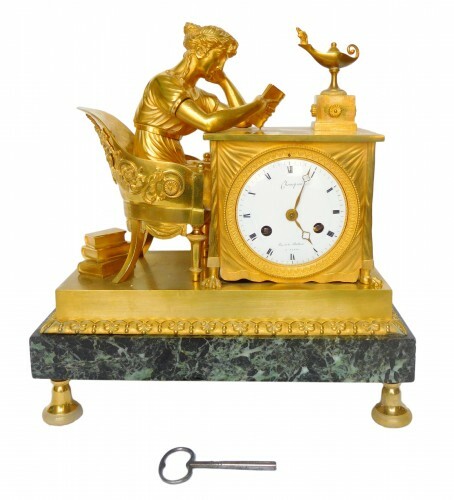 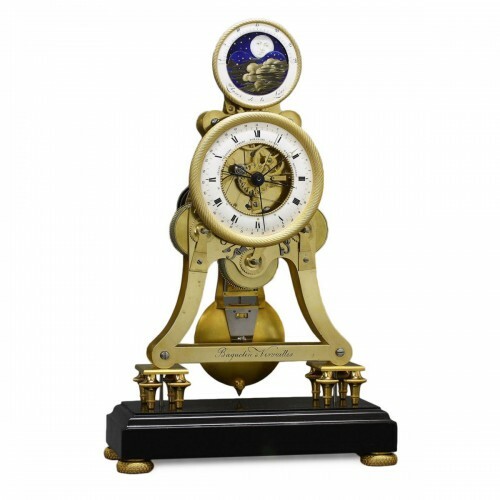 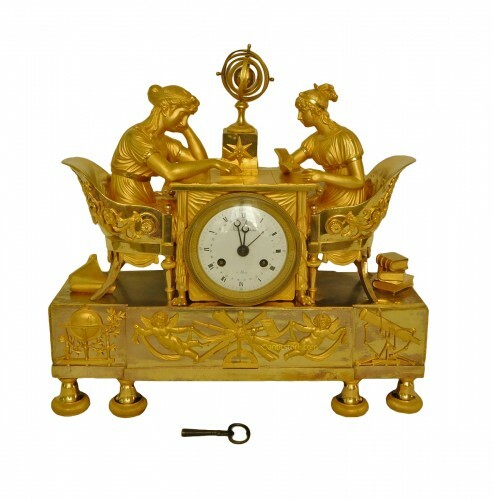 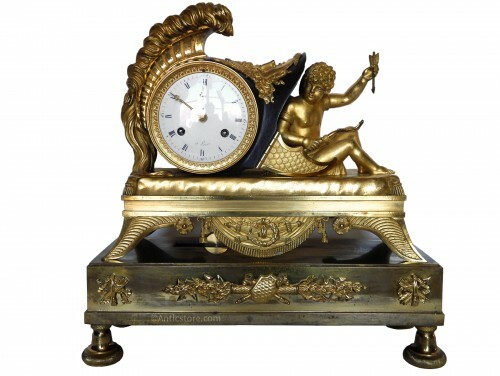 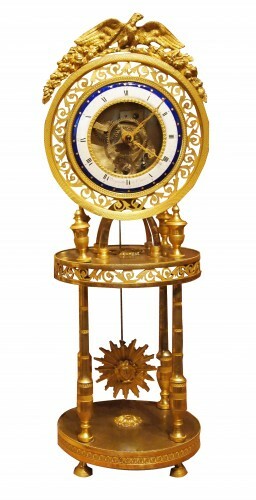 There are clocks decorated with animals, mantel clocks, pendules squelettes (clocks with their movements exposed), portico mantel clocks, and pendules à sujet; each model delights the eye and complements the general decor. 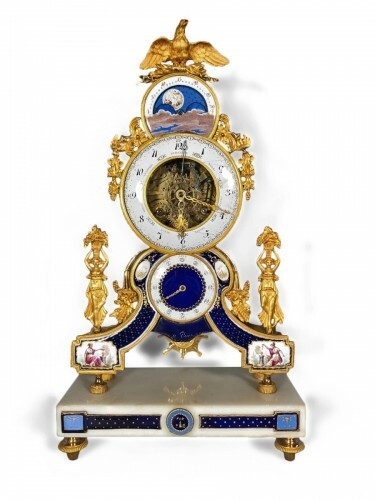 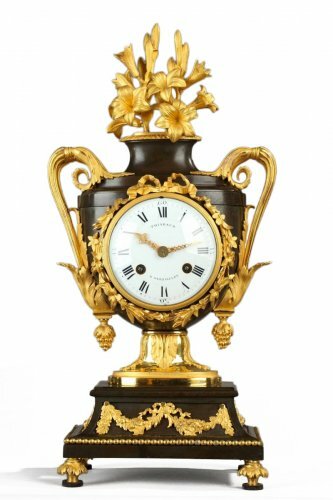 Clocks have been ornamented with the finest materials to promote the measurement of time: Boulle marquetry, vernis Martin (varnish), Chinese-style decorations, porcelain, gilt bronze, wood, and ceramic panels. 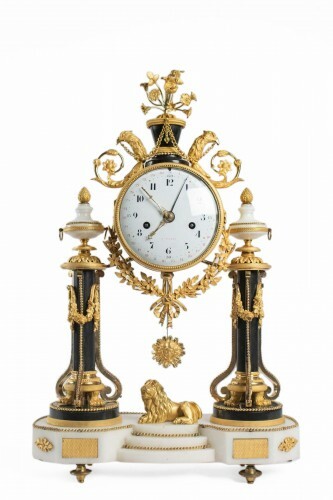 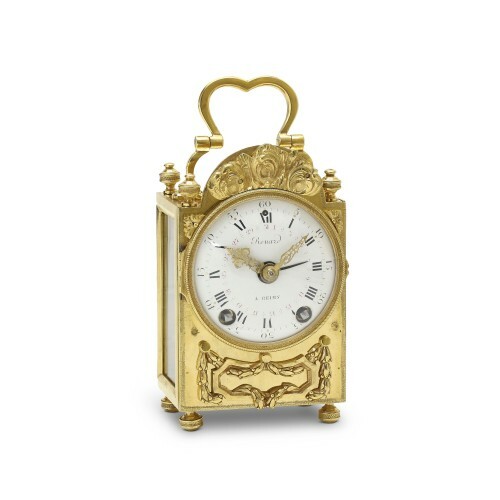 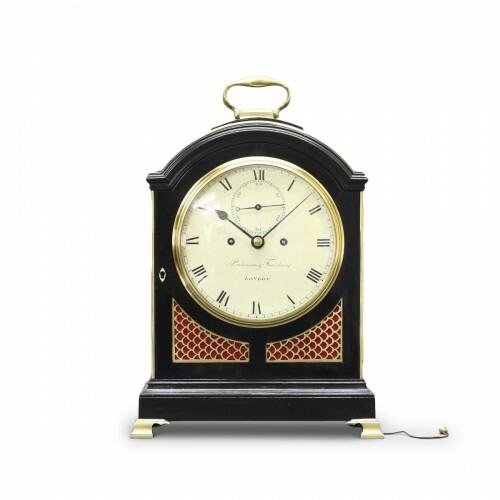 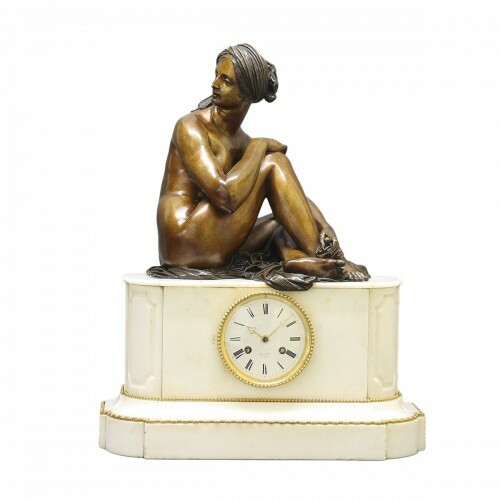 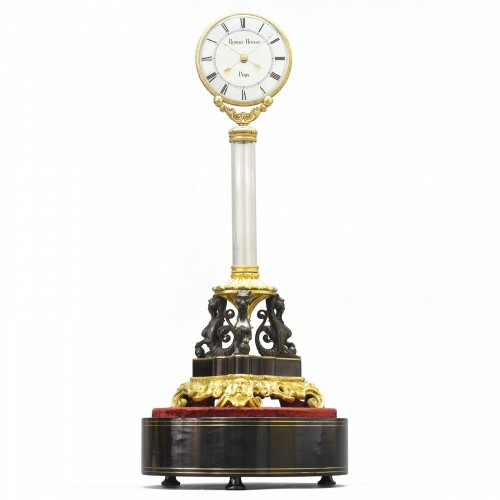 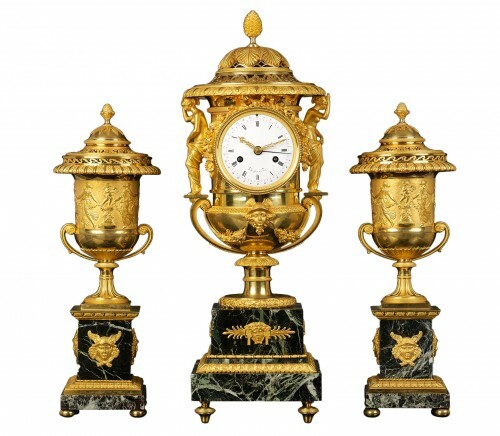 Placed with a pair of candlesticks or candelabras, clocks are best displayed on a mantelpiece. 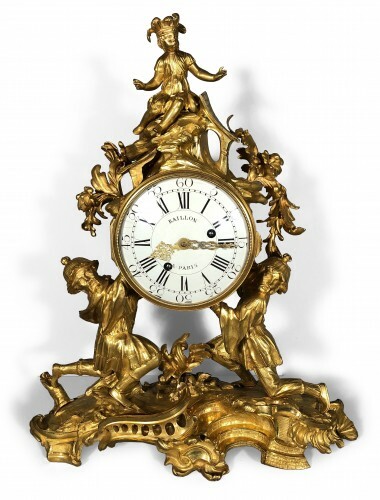 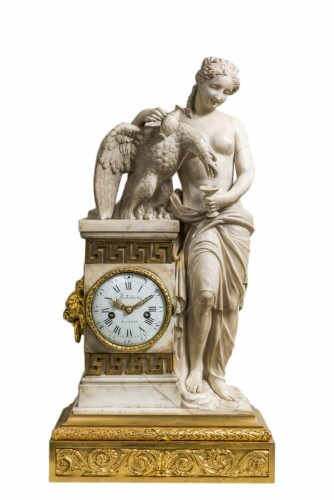 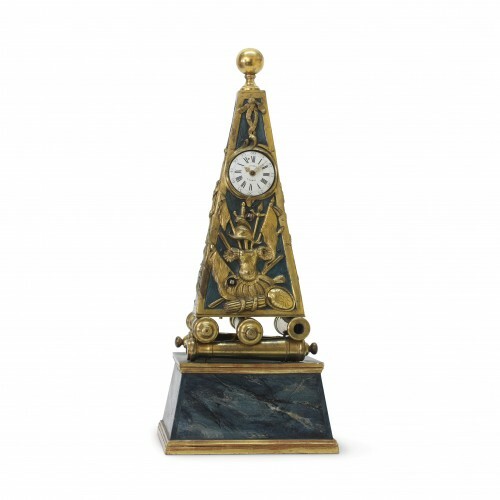 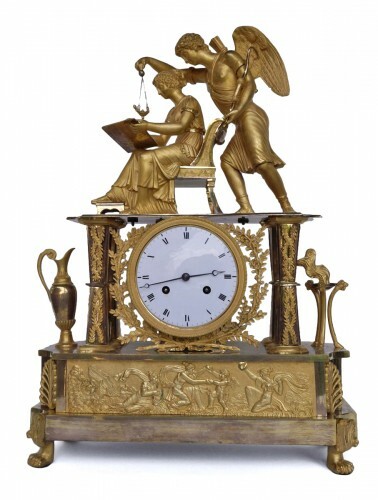 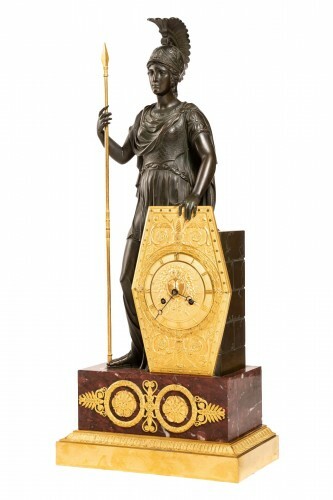 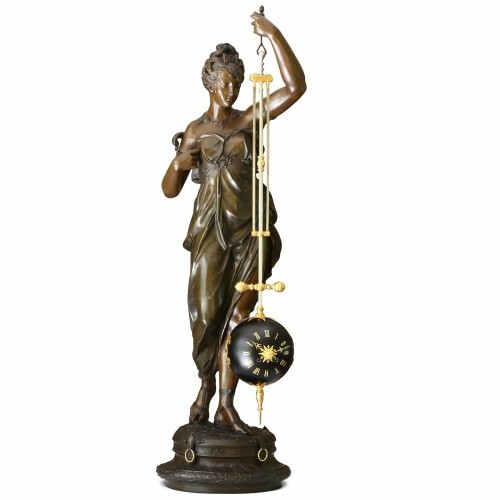 The authentic character of these clocks is splendidly enhanced by Scènes galantes, Graeco-Roman motifs, mythological figures, and allegorical representations.